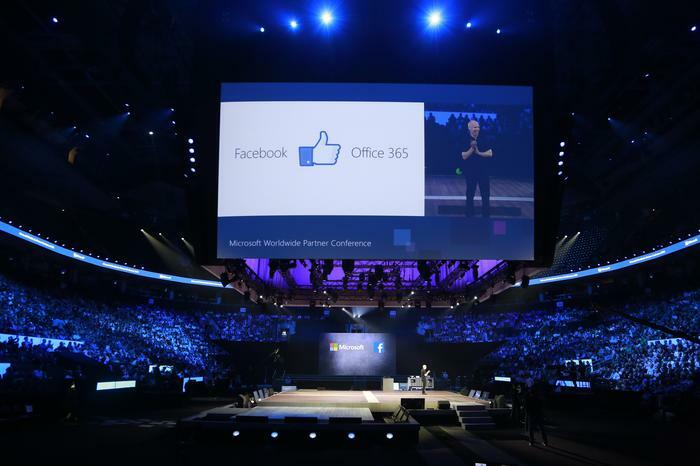 Tech giant reveals new opportunities around Azure, Office 365, Windows 10 and Surface. Microsoft is continuing to deliver on the potential of cloud, with core product lines crossing as new technologies hit the market. 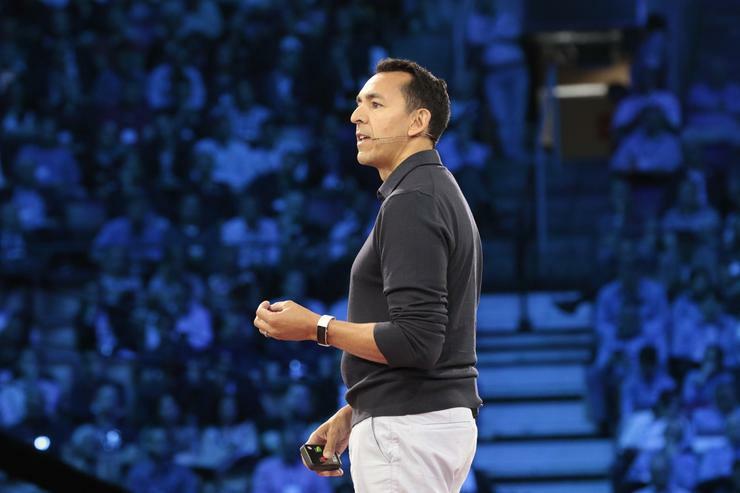 During a string of Azure, Office 365, Windows 10 and Surface announcements on the second day of 2016 Microsoft Worldwide Partner Conference in Toronto, the tech giant displayed a sense of coherence in front of its sell-out channel crowd. “There’s real consistency in our approach and it’s clear that our big product groups are becoming interconnected,” observed Microsoft Director of Partner Development, Phil Goldie, when speaking to ARN on the ground in Toronto. Underpinned by security, Power BI and analytics - featuring in almost every presentation and demonstration - the vendor showcased a string of technological innovations, all dovetailing together in the form of new business opportunities for its partner ecosystem. “The promise of cloud is starting to impact what we’re delivering,” Goldie added. “If you think back five or six years ago, the feature integration between product would need to align around different release schedules of the different software products. “But because of the way we are shipping new features in the cloud, as soon as they’re ready to go they are deployed and become integrated in a faster manner. With over 350 million devices now running on Windows 10, and more than 96 percent of enterprise customers in active pilots, Microsoft also unveiled Windows 10 Enterprise E3 for CSP to its partner community. Available in Australia later this year, businesses can receive enterprise-grade security and control for $US7 a seat per month for the first time through the Cloud Solution Provider (CSP) channel. “This subscription is ideal for businesses that do not have dedicated IT resources or have limited IT staff, and want their licensing and IT needs managed by a trusted and experienced partner,” Microsoft Corporate Vice President of Windows and Devices Group, Yusuf Mehdi, explained. At present, Mehdi said more than 17,000 partners are now transacting in the year since Microsoft launched the model at WPC 2015. “CSP partners will be able to provide a subscription to Windows 10 Enterprise Edition as part of a managed service offering, which is ideal for businesses who do not have dedicated IT resources or limited IT staff, and want their licensing and IT needs managed by a trusted and experienced partner,” he explained. “Partners can now offer their business customers the ‘full IT stack’ from Microsoft, including Windows 10, Office 365, Dynamics Azure and CRM as a per user, per month offering through a single channel, which businesses can scale up or down as their needs change. On the devices side, Microsoft introduced new flexible purchasing options including a Surface-as-a-Service offering via the CSP channel and in conjunction with the new Windows 10 Enterprise E3 programs. According to Mehdi, Cloud Solution Providers - who are also Surface Authorised Distributors - can offer Surface devices through a managed service offering to all resellers and customers, alongside managed cloud services, Office 365, Windows 10, and relevant ISV software. “This new offering enables flexibility of solutions, faster device refresh and ensures customers can have the latest Surface devices that evolve with the best Windows and Office have to offer,” Mehdi added. Read more ​Does cloud offer the best bang for buck for Microsoft partners? In a day crammed with releases, Microsoft also announced an agreement with IBM to write applications specifically for Surface devices. Specific to the Office division, Microsoft now has over 70 million users each month using Office 365, across a wide range of company sizes. Relative to the channel, partners working with Microsoft have a $US120 billion managed services and solutions opportunity over three years. “After five years in market, together, Microsoft and our partners can help our mutual customers empower their employees through digital transformation,” Microsoft Corporate Vice President of Office, Kirk Koenigsbauer, said. As reported by ARN, Facebook has signed a deal to migrate its employees to Office 365, rolling out Microsoft’s web-based email and calendar services to its 13,000-strong global workforce. Despite clear market clashes in terms of Facebook for Work, Goldie told ARN that the move highlights a growing shift towards a coopetition approach to business, evident across the industries in a range of capacities. “Coopetition is key,” Goldie explained. “Having that openness as a company to partner on one thing and compete on another represents a great shift in mindset. Goldie said that a coopetition centric mindset extends to the Australian channel, with Microsoft working with local SAP partners to deploy and run solutions on Azure. Read more ​Microsoft aims to lighten the cognitive load, but can partners carry the weight? “We’re talking to SAP partners who are keen to understand how they can lead with SAP on Azure and offer this to the customer,” he said. “But they are not open to becoming a Dynamics partner at this stage because they have a very successful SAP practice. Delving deeper into the Office 365 solution set, by the end of 2016, customers will be getting a preview of automatic transcription and translation in Skype Meeting Broadcast. Released in 2015, Skype Meeting Broadcast allows users to produce, host and broadcast meetings to large online audiences of up to 10,000 attendees. As explained on stage, these new services will provide live closed captioning of presentations and allow viewers to choose translation into preferred language from a list of supported languages. 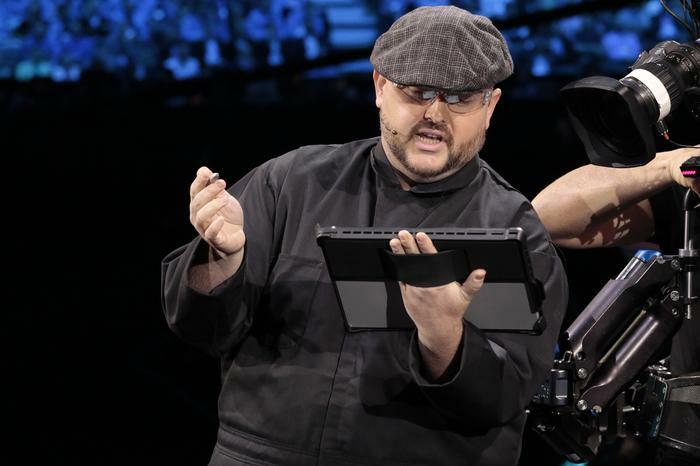 “The Skype services coming to market will be huge for Microsoft,” Goldie said. “The demonstration was a relevant example of partners seeing something that is new and interesting, but then realising how this can be applied in the market. “In the context of Skype for Business meetings, as an organisation Microsoft is a perfect example of how this can be utilised. During the keynote, Microsoft reported 120,000 new Microsoft Azure subscriptions a month, coupled with the launch of Windows Server 2016 and System Centre 2016 later this year. 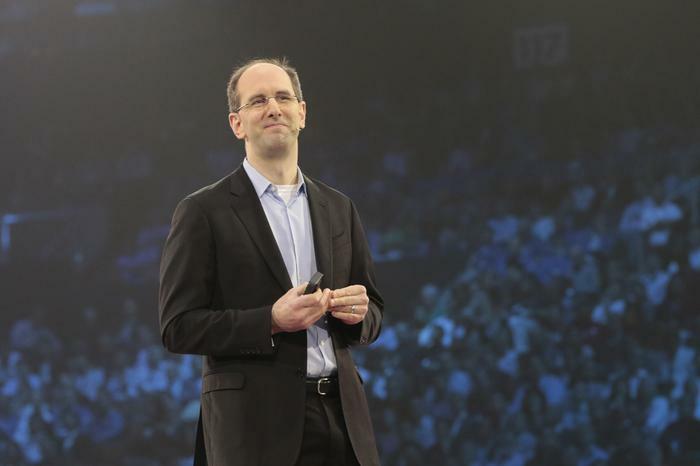 Microsoft Executive Vice President, Cloud and Enterprise, Scott Guthrie also announced the general availability of Azure SQL Data Warehouse, designed to deliver cloud elasticity to data warehousing, saving time and money compared with competitive solutions. “To give an idea of the benefits, a data warehouse can be provisioned in 3‒5 minutes and scale in seconds to meet demand while the SQL-based view can unlock intelligence for all your data, across structured, unstructured, on-premises and cloud, using tools you already have like Power BI and Microsoft Excel,” he explained. James Henderson is attending 2016 Microsoft Worldwide Partner Conference in Toronto as a guest of Microsoft.